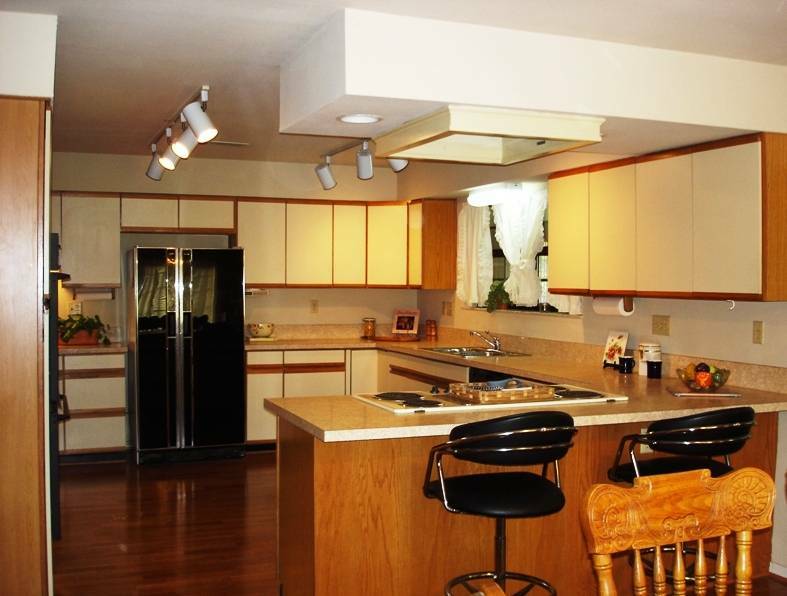 Repairs Needed - Lucas Home Renovation & Remodel Opportunity! Offered For Sale By Jeanie Elliott, Inc. Real Estate - NOW SOLD! Unique family home next to the creek in Brookhaven Ranch Estates in the City of Lucas, Texas with two homes on one large, estate lot; a main house and a separate guest house. This Lucas home, a family estate property offered below market in "as is" condition by the heirs due to the need for foundation and other repair issues as well as the need for renovation and remodeling costs for repairs and updates. Some of the areas of the home were too full with furnishings to be staged for photos as the owners all lived out of state and had already planned and scheduled a large estate sale to sell off all the contents of their parents former home. Due to the interest in the property from multiple interested parties and several offers that started coming in within the first few days after this property was listed, the contents of the house needed to be sold quickly right after the home was first placed on the market for sale. 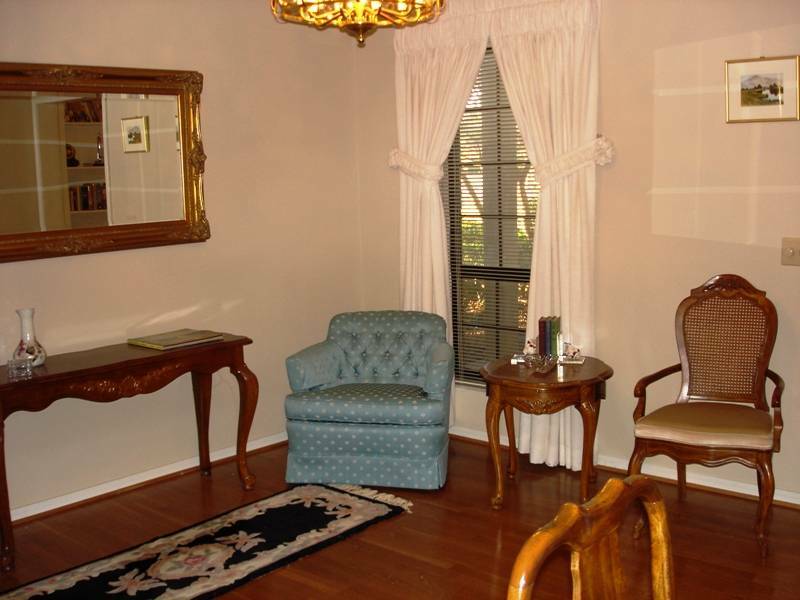 Thus, only some of the rooms in the main house and guest house were made accessible for organizing, partial home staging and photography. 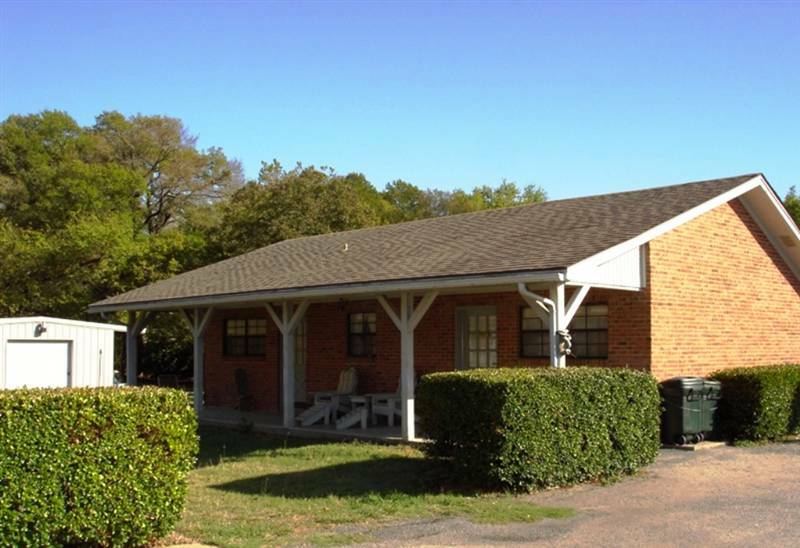 This Lucas property was offered below the 2012 Collin County Tax Appraisal Districts market value of approximately $305,000 and included a $25,000 repair credit off the final sales price for the home buyers in lieu of any repairs. All repairs required by any inspections or mortgage companies are to be completed and paid for by buyers after closing, and are the sole responsibility of the home buyers only. This unique country estate home has a flat roof, and a separate cottage, guest house with a large, covered front porch. The exteriors of the two homes are surrounded by large native trees and landscaping. There is also an large enclosed porch under roof which houses the pool and a cabana half bath, both of which are in need of repairs. The one bedroom, one bath guesthouse has a large covered front porch and two exterior doors to allow separate entrances. 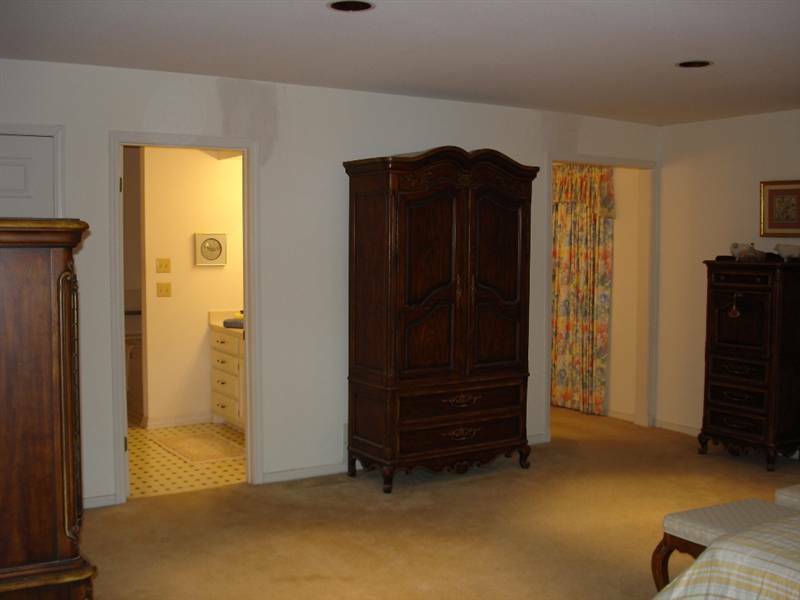 One door leads to the living and dining areas, and the other door opens to a large one bedroom suite complete with full bath and full wall of closets. There is an oversized, two car garage with the main residence, and there is a separate one car garage or 30' X 21' metal workshop/barn with electricity at the back of the property behind the guest house. It has two covered outdoor patio areas as well. 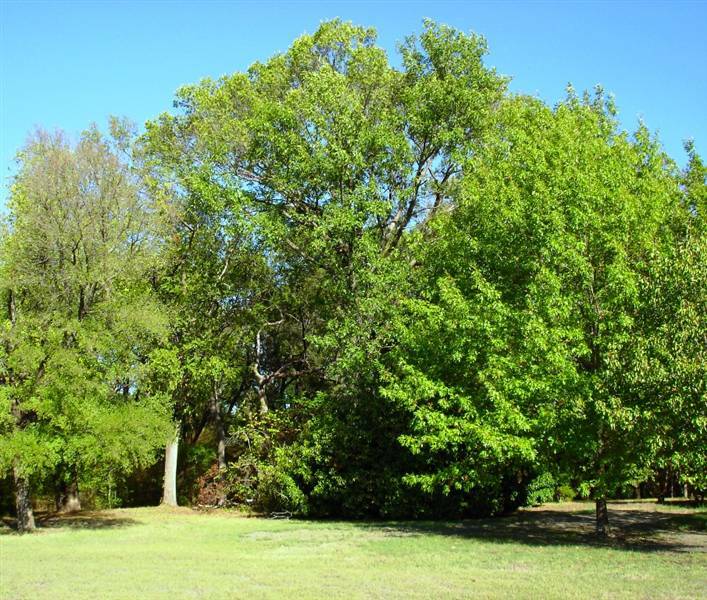 The property consists of approximately 2 fenced acres of land surrounded by native trees. 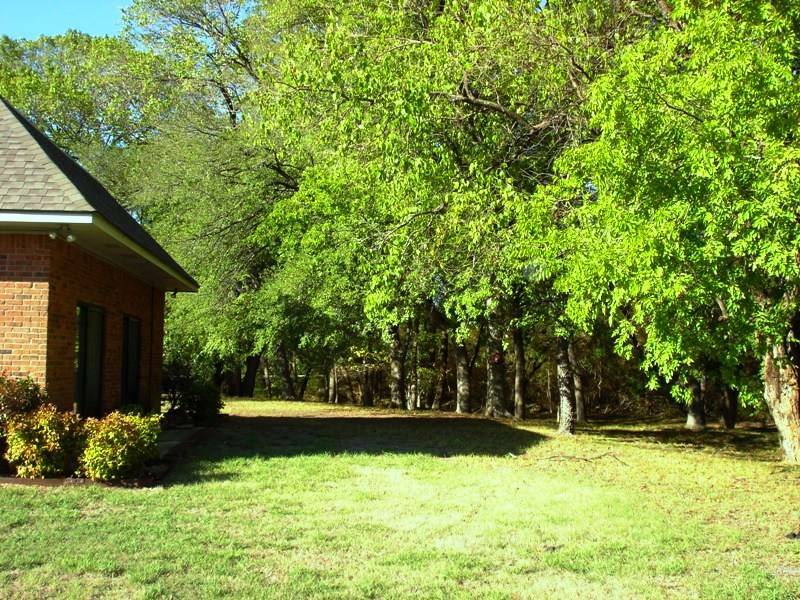 The large trees provided the owners of this property with a wonderful parklike setting, and an abundance of shade and cool breezes during the hot Texas summers. The double front doors to the main home open to a large entrance with double built-ins. 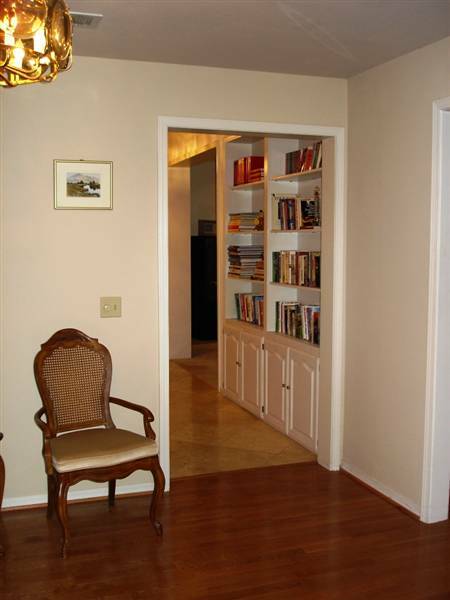 The wall of floor to ceiling bookcases & bookshelves create a foyer entrance that separate the other parts of the home by adding privacy while also making great use of this large amount of living space. The front formal dining room with wood floors is adjacent to the kitchen and offers the flexibility of being used as a library, reading or music room, or formal living. The formal dining room currently being used as a study and reading area, has wood floors and is adjacent to the foyer's wall of bookcases which offer great storage and display of interesting books, novels, vintage reading materials or to display collections & family photos. 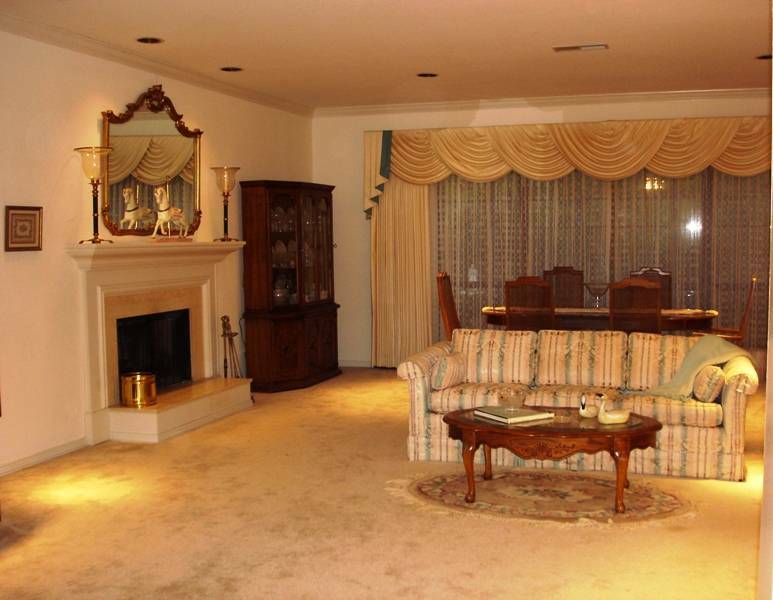 The large, elegant living or great room with beautiful mantle and fireplace is generously sized to be able to be used for both formal living and dining areas if desired by owners like these that chose to use the front formal dining room as a study. 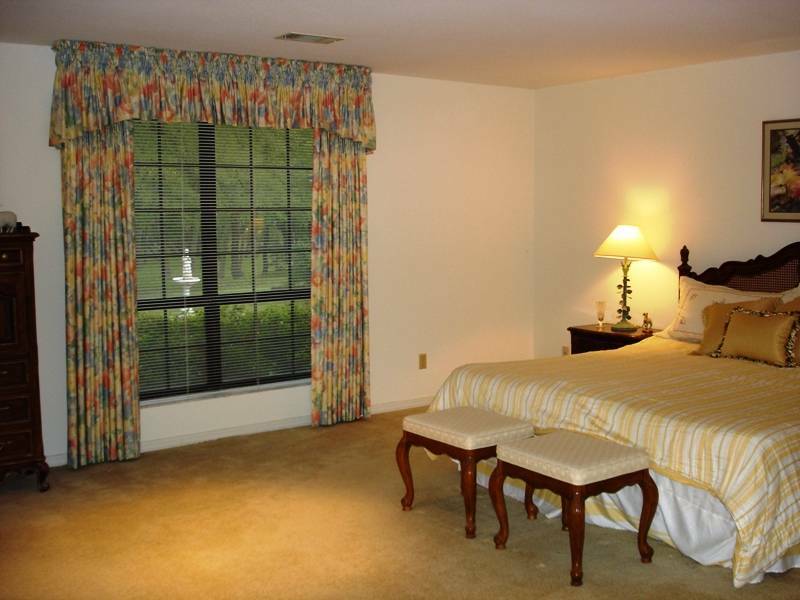 The wall of tall, floor to ceiling windows provide beautiful picturesque views of the backyard and wooded creek. The huge family living room has plenty of space for several conversation and reading areas. 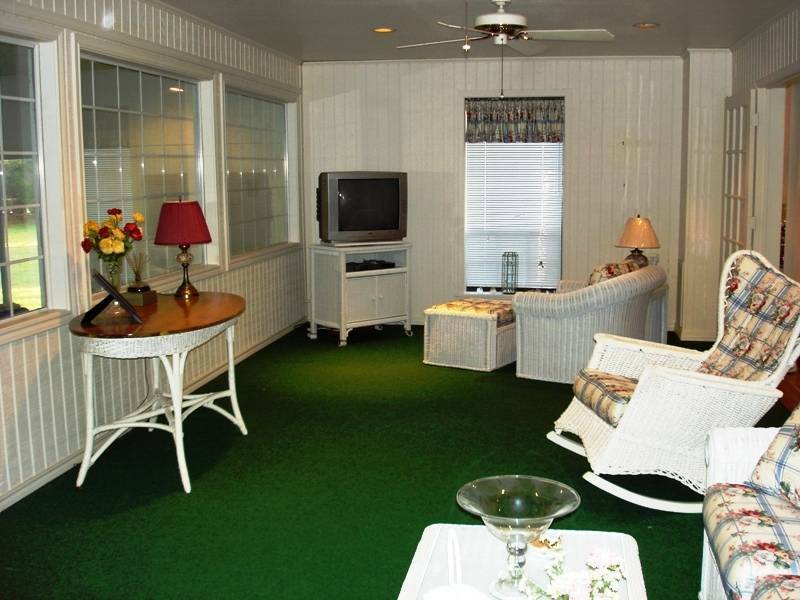 The den/sunroom is next to an enclosed porch with indoor swimming pool and provides casual family living and fun. 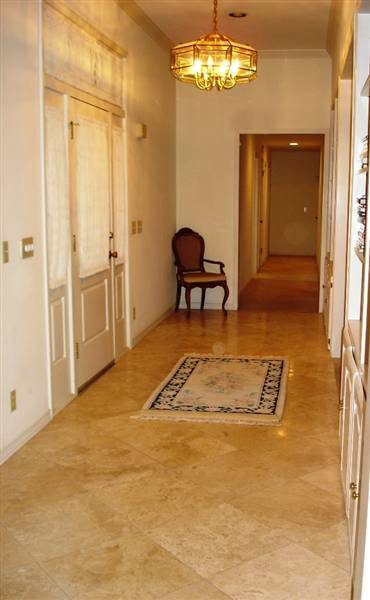 It is also near the kitchen and breakfast area which is great for casual parties and weekend gatherings with family and friends. 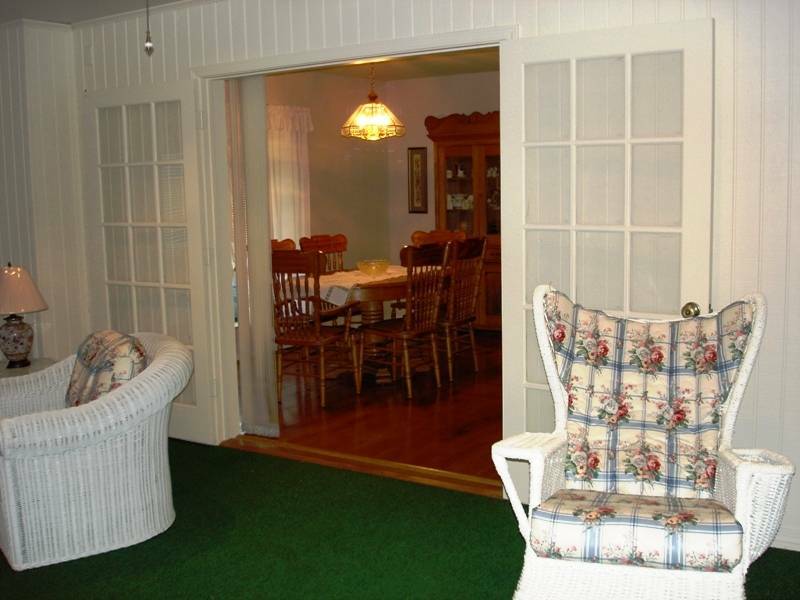 Double French doors between den and breakfast allow for either privacy or open living. 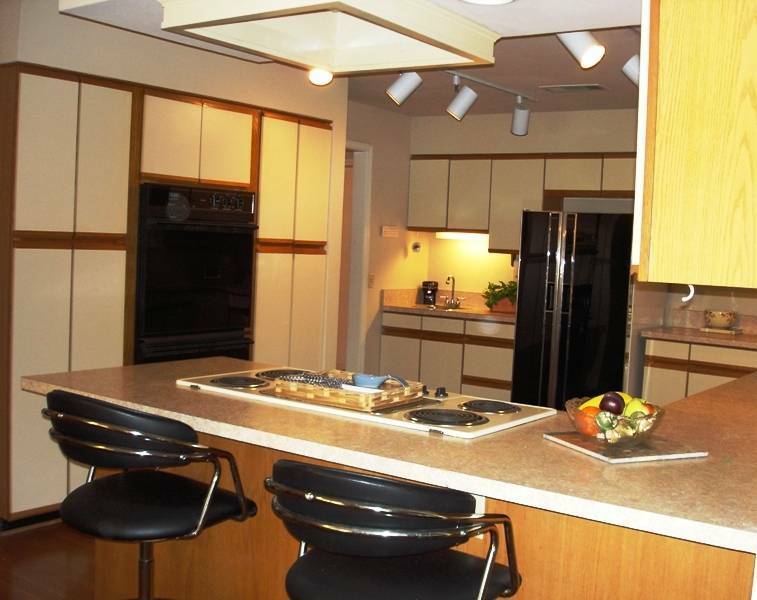 Grand country kitchen with abundance of storage, cabinets, counterspace and lighting. Wall of pantries, separate wet bar area with undercounter lighting and wood floors. The master views the natural creek setting and native trees from large picture windows overlooking garden & back yard areas. 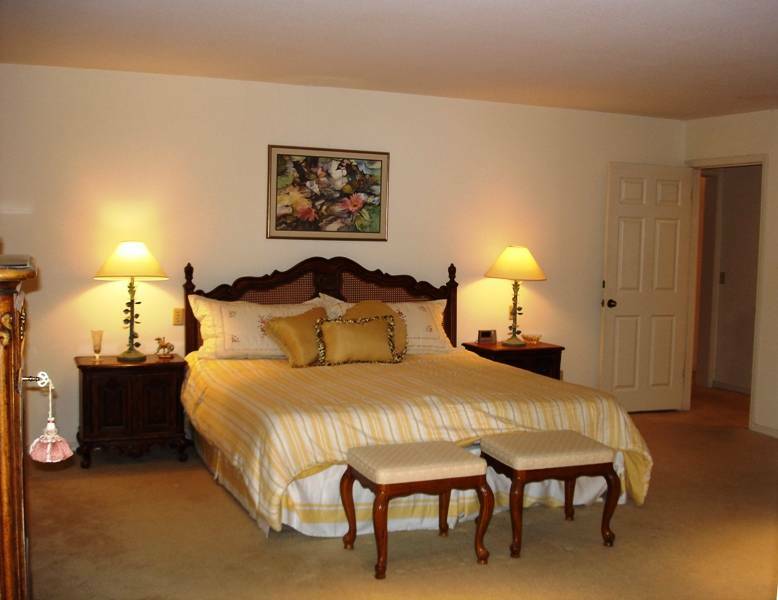 The master suite is in need of repairs and major renovation to correct foundation, settling and other issues. This will require a structural engineer and foundation specialists prior to any remodel of the master bath, bedroom suite and any other affected areas that will be in need of repairs after the foundation and structural repairs have been completed. All interested parties are advised to select and hire their own choices of qualified, professional state licensed home inspectors and appropriate certified engineers to conduct their own independent mechanical, structural, septic, pest control and any other inspections they desire of the property prior to the end of the option period, prior to closing and as advised by their lender in order to obtain any desired renovation financing to repair, remodel, and renovate this property. 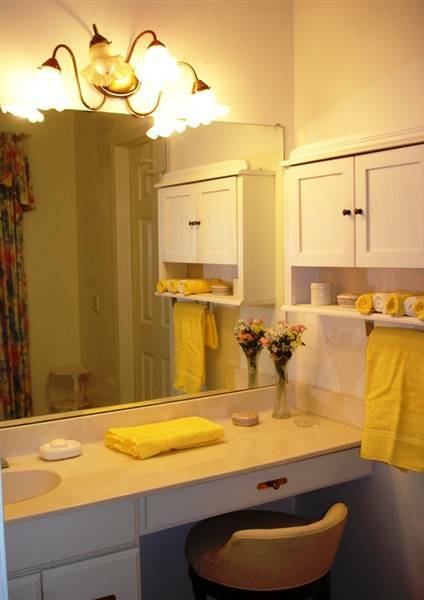 The master bath provides separate His & Hers dressing areas and closets with separate entrances from the bedroom. There is a private patio with exterior access off the master. 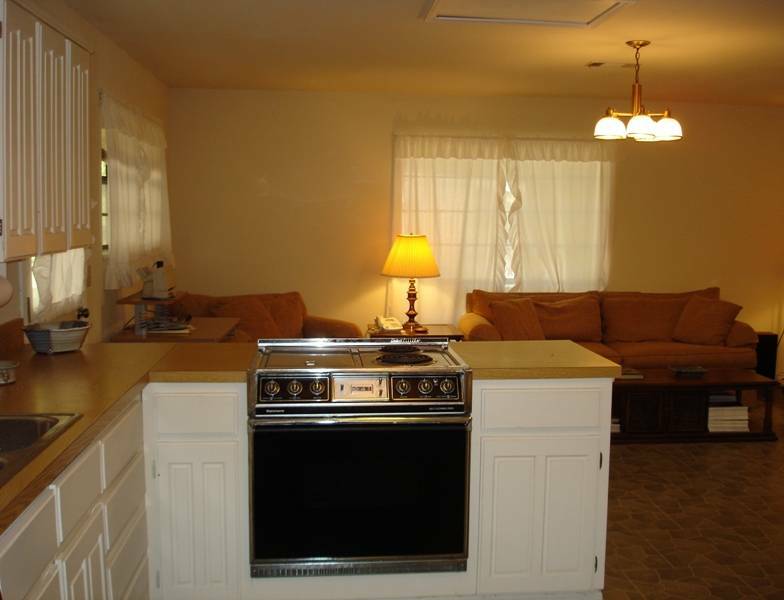 Spacious Kitchen and Large Den inside the separate guest house or cottage. 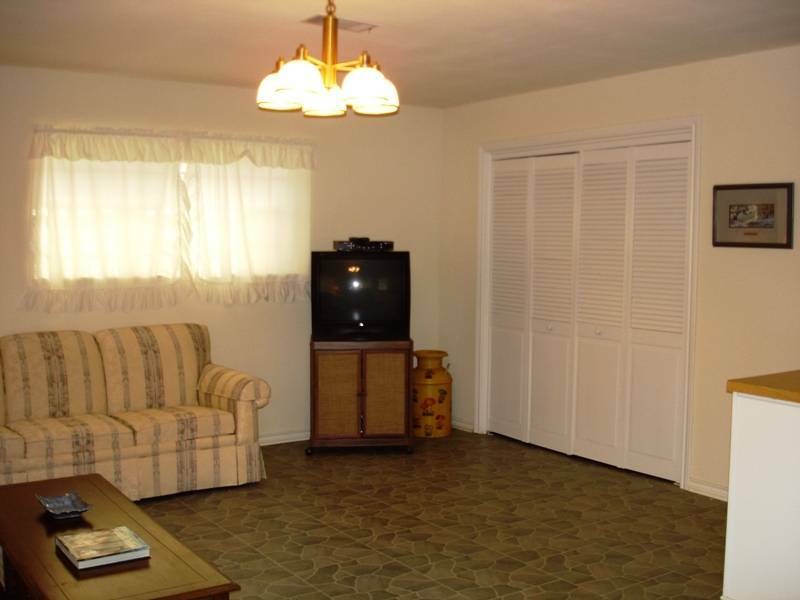 Cottage or guest house with den, kitchen, large utility closet space, and private one bedroom suite. 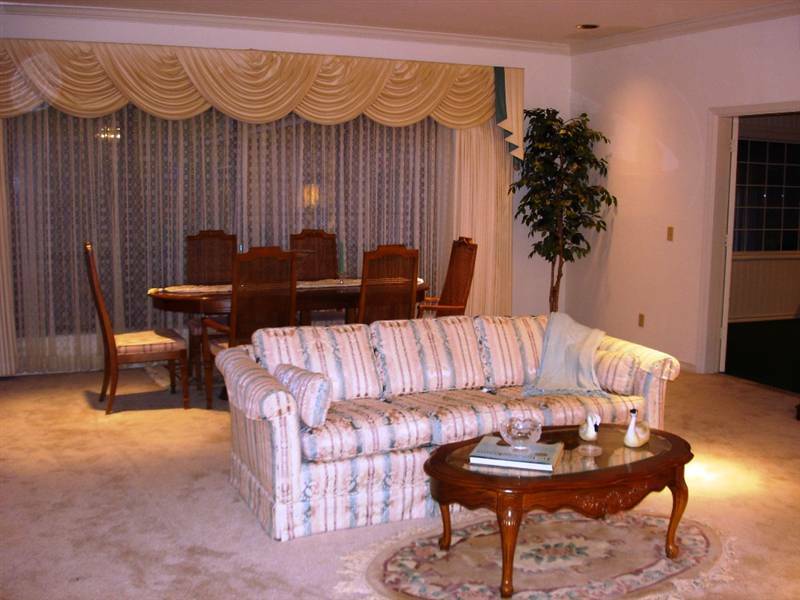 There are separate entrances to the living area and the sleeping area. 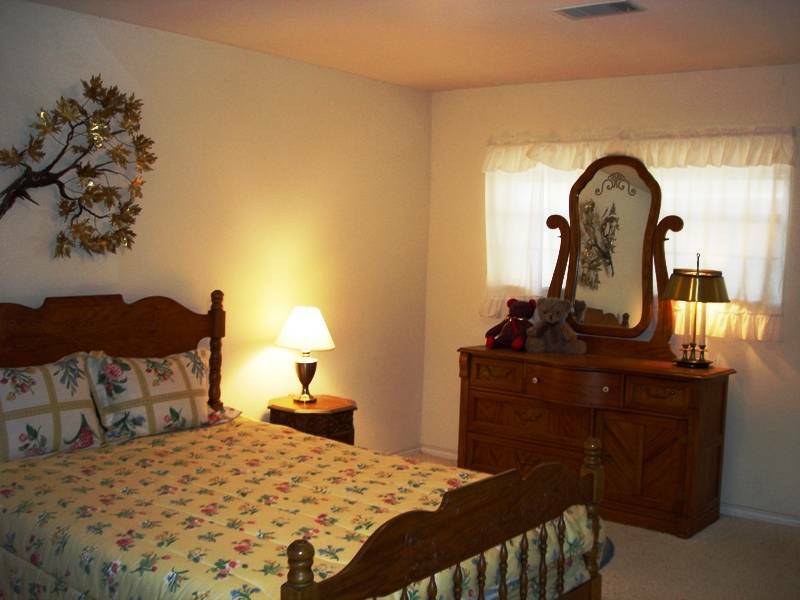 Cottage, guest house in Lucas, guest bedroom suite with full bath and separate entrance. The Collin County Tax Appraisal District shows the guest house to be 861 square feet of living space which is not included in the tax office's estimate of 3,212 square feet of living space for the main residence. Purchasers are advised to hire their own certified appraiser to verify the estimates of living space for both the main residence and the cottage as well as any non-air conditioned space such as the enclosed porch with pool area. Note: additional rooms in the main residence that are not included in above photos include two downstairs bedrooms with adjoining bathroom; upstairs media/game room; and large mudroom/sewing room with wall of built-ins and half bath. This charming home for sale in Lucas is a true country charmer with a separate cottage or guest house on a two acre estate lot. It is ideally situated on the corner of a cul-de-sac street and is surrounded by large native trees that provide great shade, pleasant breezes, true country community atmosphere, and plenty of natural wildlife settings. The home has great possibilities, even though it will require foundation, structural and other repairs; and renovation by a professional building contractor to restore it back to top condition. The picturesque, wooded creek lot setting on two acres of property, the fact that this property is located within the desirable exemplary Lovejoy Independent School District, and the fact that this home has a spacious and flexible family floorplan for the main house as well as the large private cottage or guest house with a large covered front porch, give this property a lot of pluses and distinguishes it as a home with a "lot of potential" that makes it a good choice for a renovation project, as they can be expensive and time consuming. The opportunity to repair, renovate and restore this unique Lucas property to be the fine estate home on acreage it could really be will require a lot of patience from the right home buyers that will need to have the flexibility to live somewhere else until the home renovation project in complete and also have the financial ability to afford the house renovation and construction costs it needs and that they desire and want. Thus, even though the home is a "fixer-upper" now, it has the potential to be a beautiful estate property. The enclosed porch, cabana and swimming pool are also in need of repairs. There may be other repairs as well, and all potential home buyers or investors are advised to hire their own licensed professional home inspectors to determine the costs and scope of any and all repairs. All repairs are the sole responsibility of the home buyers, and are to be completed after closing by the repair professionals chosen and hired by the buyers. 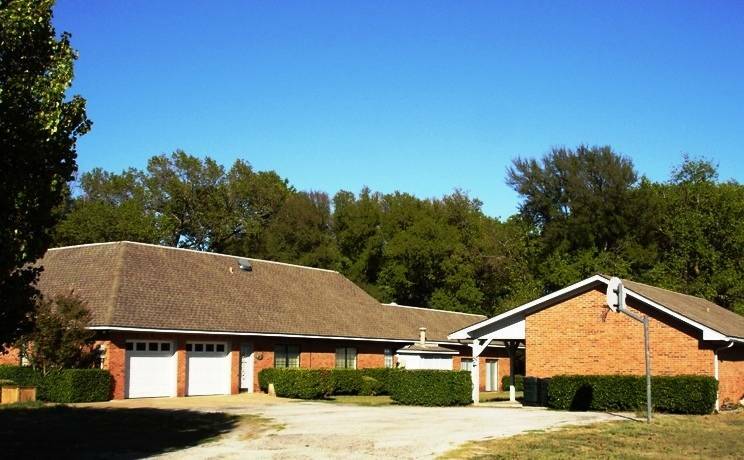 The Brookhaven Ranch Estates subdivision of Lucas is an area where some of the homes were built in the late 1970's and 1980's, and may require remodeling, updating or possibly complete home renovation in some cases if they have not already been updated and remodeled by prior owners when they are offered for resale. The current building and deed restrictions indicate that a specific number of horses per lot may be allowed and kept on-site in horse facilities and exterior structures and buildings that comply with the deed restrictions. 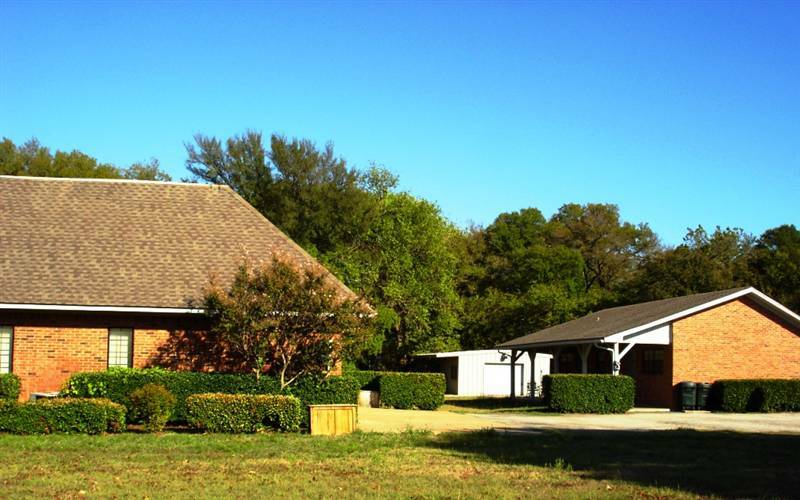 Thus, the Brookhaven Ranch Estate area is one of those beautiful, treed mature subdivisions in Lucas where equestrian homes and horse properties may be found when they come on the market for sale, if the new home buyers seeking a horse property for sale are needing to keep only a few horses on their property. All home buyers are advised to review and verify the most current deed restrictions and building covenants if they are considering purchasing, remodeling or renovating a property in the Brookhaven Ranch Estates or any other another area of Lucas. They should also review the subdivision covenants and restrictions if they are looking for a suitable horse property and planning to keep a specific number of horses there to verify what is allowed, since the covenants and restrictions are subject to change and may be amended by the current owners in the area at any time. This Lucas country estate home and guest cottage house is NOW SOLD, but it did require a major renovation and remodel of an older home. 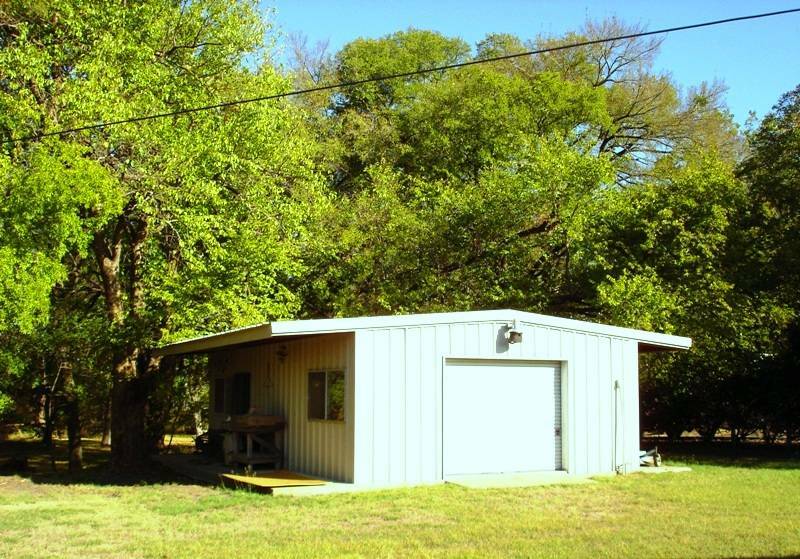 If you are looking for a home for sale in Lucas, Texas that has the potential to be what you want, but it needs to be remodeled or renovated, we can be of valuable insight to you on what to expect. This property was sold several times before it closed due to stringent lender requirements and conditions that had to be met for the home buyers to be able to get the special renovation financing they needed to complete the renovation, remodel and repairs that were desired. Please call Jeanie Elliott, Lucas Country Estate Property, Lovejoy ISD, and Collin County, Equestrian Real Estate Specialist Since 1980, for professional, experienced assistance with finding, buying, selling, leasing or renting another property in Lucas or Fairview, Texas and in the exemplary Lovejoy schools area or other surrounding areas of North Texas. Should I Buy or Rent A Home For Sale in Lucas or Fairview?